Announcing an upcoming litter of LGDs composed of our Maremma, Polish Tatra, and Spanish Mastiff lines. 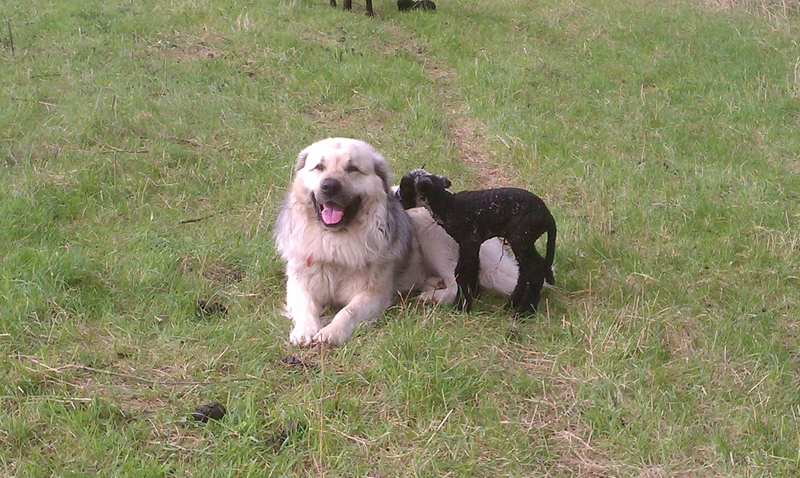 the dam, Molly is out of our breeding, but was born on a local sheep farm, then sold to and raised on a horse farm. I was fortunate to be able to acquire her when her owners retired from the farm. Molly has exceptional conformation and is a very large LGD, this photo does not really do her justice (she was trying to lick my chin!). Although Molly was not raised with sheep, she exhibits all the characteristics I value in a LGD and has that assertiveness that keeps wolves away. 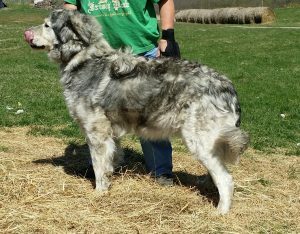 Molly is 1/2 Maremma 1/4 Polish Tatra and 1/4 Spanish Mastiff. 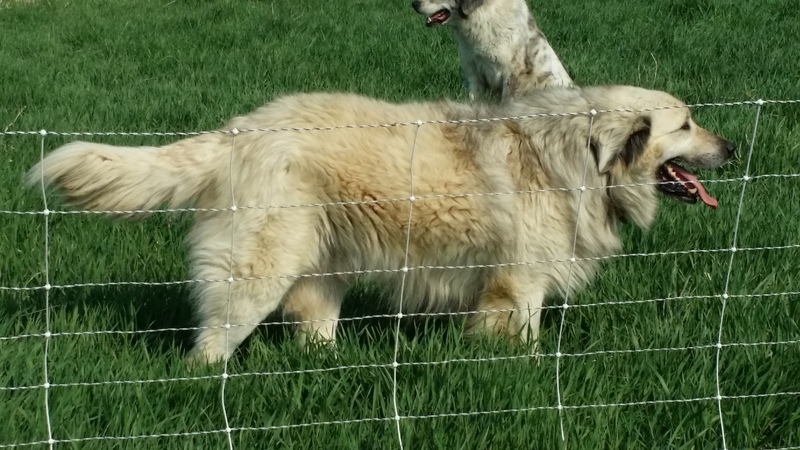 The Sire is Jj who has been an outstanding LGD for me. 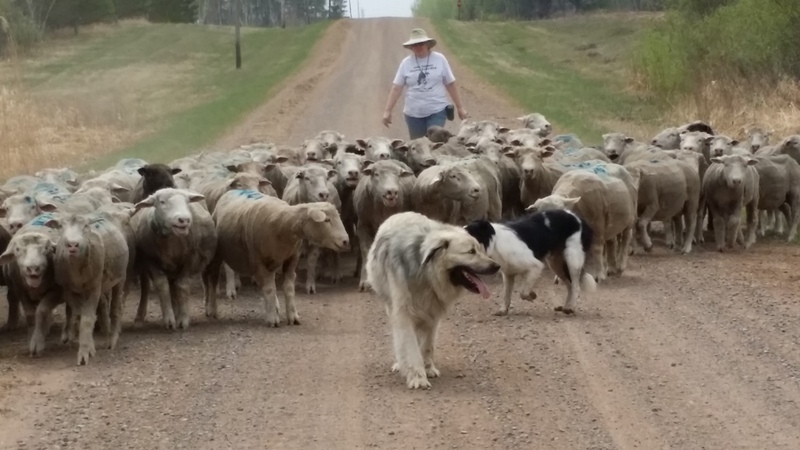 Jj is the tightest working dog I have ever met, always in the middle of the flock, yet, when the need arises, he is out there purging the threat. Jj and his team mate Bonnie, outwit coyotes by stalking them, one dog leading the coyote on, while the other circles round. 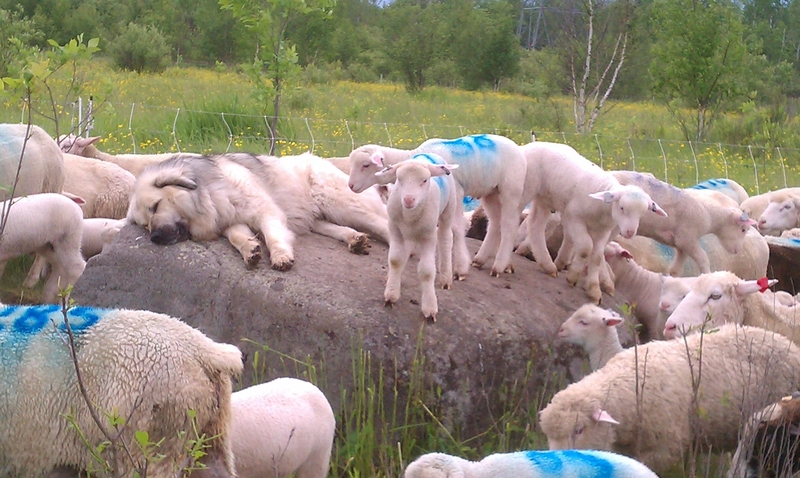 They have been extremely effective on both coyotes and wolves. 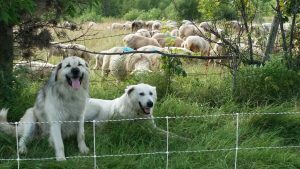 Jj and Bonnie can be seen on many of the videos and photos on this site often leading the sheep. 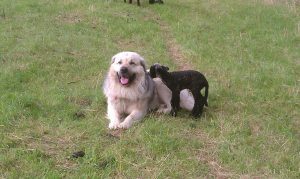 Both have been my go-to dogs, especially for the most sensitive situations such as lambing on leased land where I need a dog that stays put with the flock, and does not meddle with lambing ewes. Bonnie, a Maremma, is Molly’s grand mother, and great grand mother to this litter. She has also been an outstanding dog. 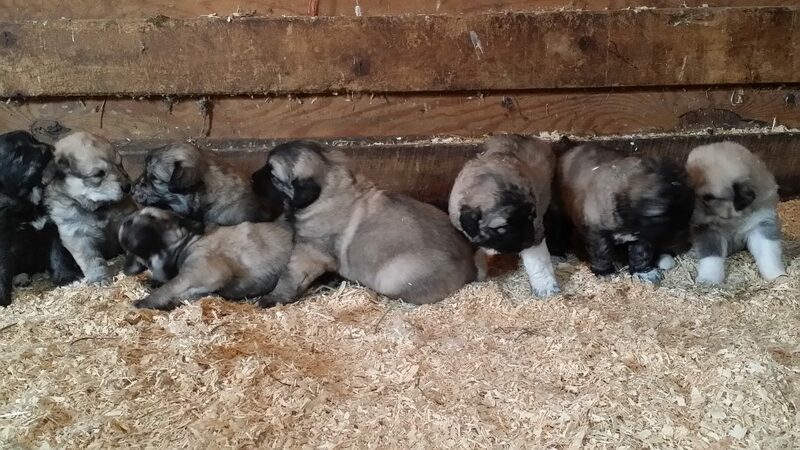 Pups are due May 19th Price is $550 per puppy. I will be taking deposits of $150 per pup once they are born. I recommend contacting me by phone 320 336 9071 or mailto:janet@tamaracksheep.com to discuss your LGD needs. UPDATE 7/30/2016 This litter is sold out please check back for future litters.